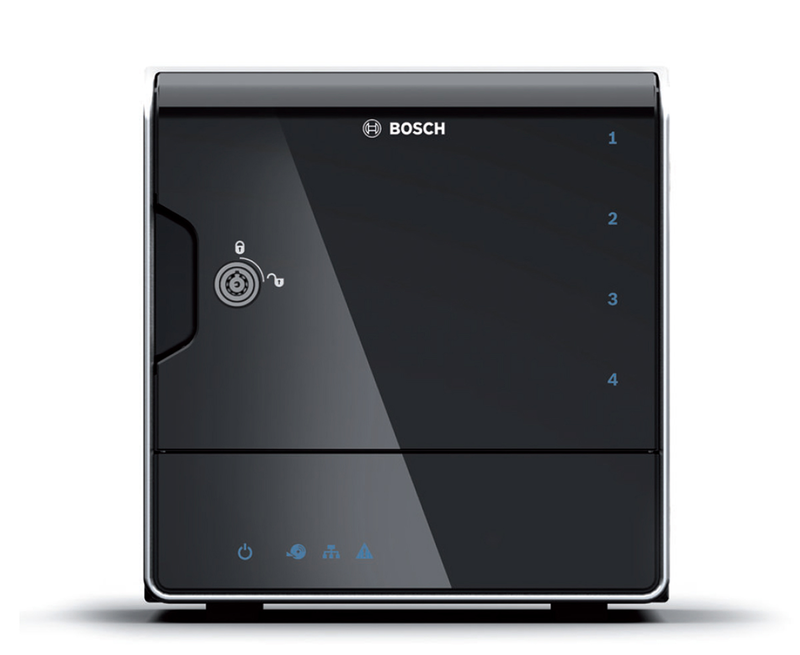 Bosch Security Systems is the premier supplier of security solutions, built upon a long history of excellence and innovative technology. 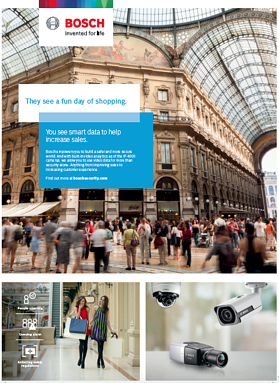 Bosch is your single source for intrusion, fire, communications, access control and security surveillance systems and components for virtually any application. With dome or bullet models, fixed and moving cameras, resolutions up to 5 megapixel, and low-light technology, this range offers a comprehensive portfolio to meet many different needs. 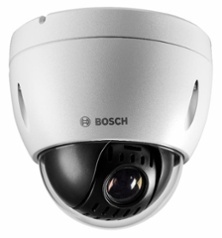 From retail to industrial solutions, these cameras provide solutions for indoor or outdoor, day or night, discrete or visible video security. With on-board video analytics, valuable data can be retrieved quickly from hours of stored video, and users will get alerts when needed, providing improved levels of security 24/7. Video analytics also enables users to go beyond security and utilize video data to make more informed business decisions. IP 4000i, IP 5000i and IP 6000i cameras offer Intelligent Dynamic Noise Reduction and intelligent streaming combined with H.265 video compression. This reduces bitrate by up to 80%, helping to keep video data manageable, while substantially reducing network strain and storage requirements without compromising video quality. Video surveillance data is increasingly connected across local and global networks. An ever increasing number of network cameras send their data to servers over the Internet. This opens the door to cybercrime. Bosch is driving a four-step approach to maximize data security by considering physical and cyber security. Even a single weak link in the surveillance set-up can jeopardize the entire system. A 360-degree view of data security is needed. Covering the entire security network including cameras, servers, clients, storage devices, network protocols and standard key infrastructures. Our four-step approach involves creating trust, securing the data, managing user access rights and meeting the industry standards. 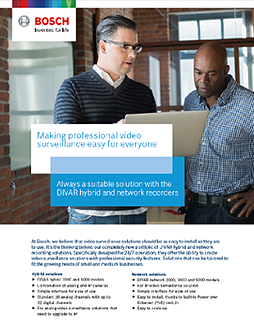 Specifically designed for 24/7 operation, DIVAR hybrid and network recording solutions offer the ability to create video surveillance solutions with professional security features that are easy to install and simple to use. is an affordable, easy to use all-in-one recording and management solution for network surveillance systems of up to 16 channels (all channels pre-licensed). DIVAR IP 2000 is an IP recording appliance. The user records on the IP 2000 and then can view their video using the no charge Bosch Video Client PC software or Video Security mobile video client app. Learn more. 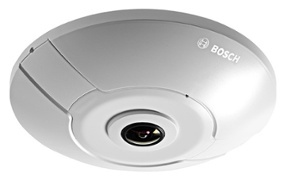 is the industry's first panoramic security camera using a 12 MP sensor at 30 fps. Designed for easy installation with one turn-n-click installation, it's a great compliment to any high-end security system such as airports, large retailers, casinos, and warehouses. Using the latest, state of the art, sensor in combination with the new platform the camera provides the best detailed and live video in the industry. Learn more. models help to locate, track and zoom in on details, providing relevant information that enables operators to react instantly and make accurate decisions. They add precise identification of objects of interest over large distances and hands-on control to all kinds of video surveillance solutions. Learn more. starlight. The original just got better. The inventors of starlight technology take it to the next level. 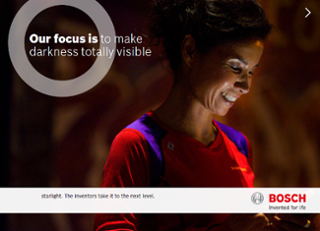 Bosch cameras with starlight technology have become the gold standard in low light video performance. Now we’ve raised the bar even higher to bring you the latest starlight technology with: Improved light sensitivity, A wide choice of resolutions, Various form factors, Dynamic ranges of up to 120 dB, Frame rates of up to 60 frames per second, and Video analytics at the edge as a standard.